I’m all about living the hygge life and can’t resist online window shopping all of the gorgeous accessories available. 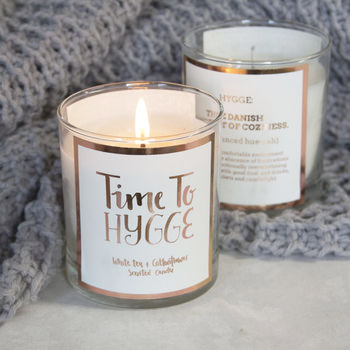 Did you know that Not on the High Street has a whole section dedicated to hygge? Perfect for a bit of last minute Christmas shopping. I love this definition candle; it’s so Instagrammable – you can’t have too much rose gold in your life, ammiright?! It’s £13.95.